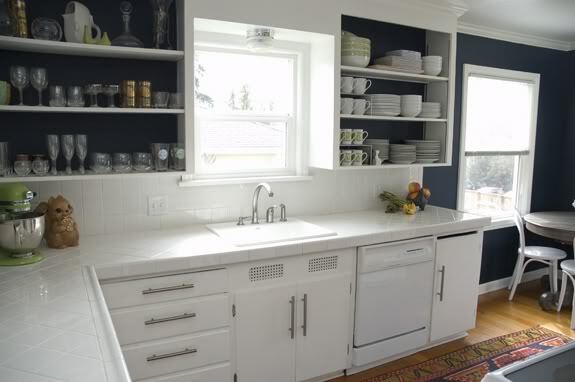 I've posted this kitchen before (originally spotted over at Little Green Notebook) but here's the full view, and now I'm taking a closer peek because I really really need to redo the kitchen cabinets and I love everything about these above cabs. The pulls! The open upper shelves! The crown molding! I'm ready to start tearing to old ones off the walls I'm so inspired. 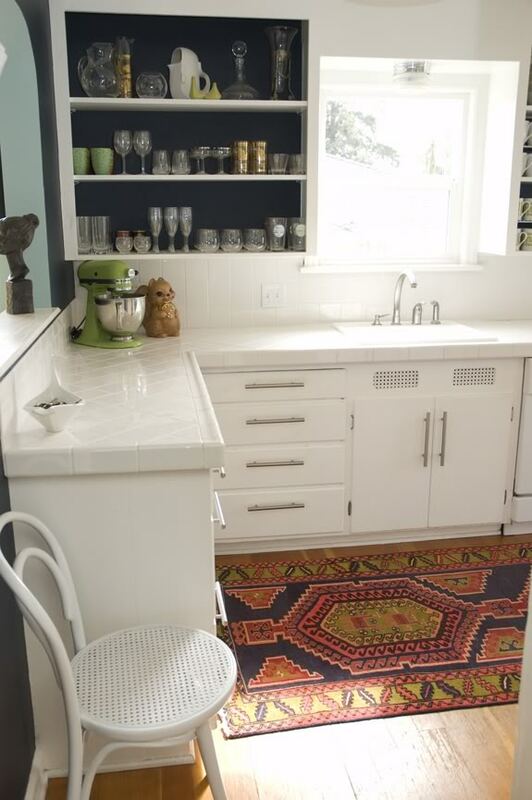 i love that rug. I love open shelving too.